The weather: July brought with it some very chilly winter mornings and evenings but it was worth every second out there in the bush. Hot water bottles and cosy fires have been the order of the day, and blankets have been a most welcome addition to the dinner table. The vegetation continues to thin out, and every day we’re able to see further into the bush. 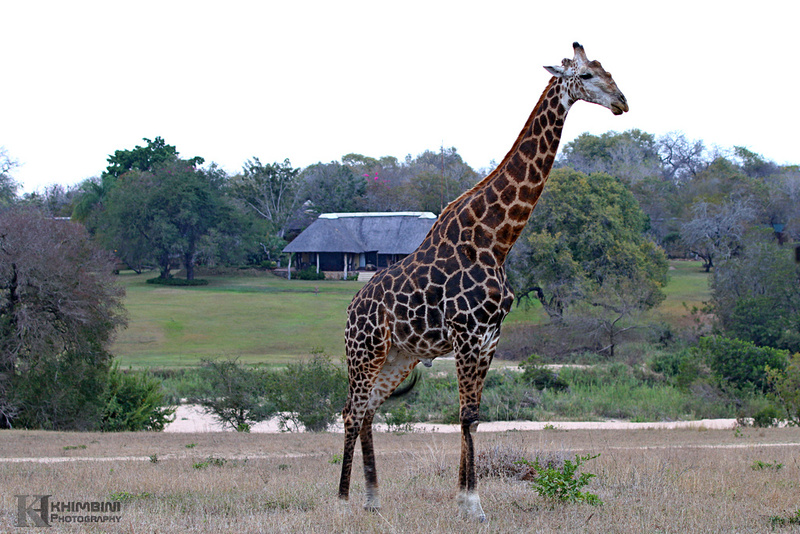 Wildlife: Game viewing this month has been spectacular! Winter always provides an abundance of general game and this July has been no different. The area has been thriving with game and we are always thrilled to see the delight of our guests after experiencing everything the area has to offer. 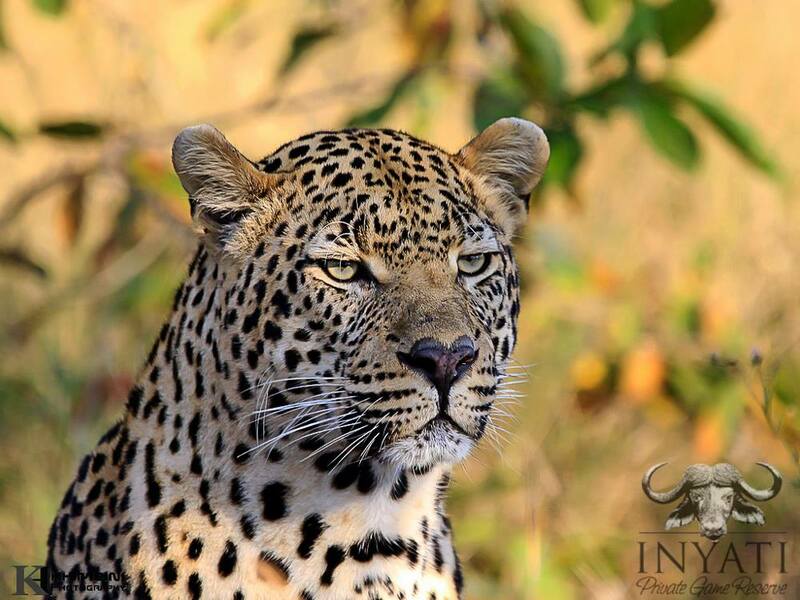 Of course one cannot talk about the Inyati, Sabi sand area without bringing up leopards, the other abundant predator species here. Guests have been treated to excellent sightings of these beautiful cats. We have being seeing Khashane male more often in recent months; he was involved in yet another territorial fight with the Dayone male. It’s unclear who won the battle with both carrying large wounds yet keeping their territories. 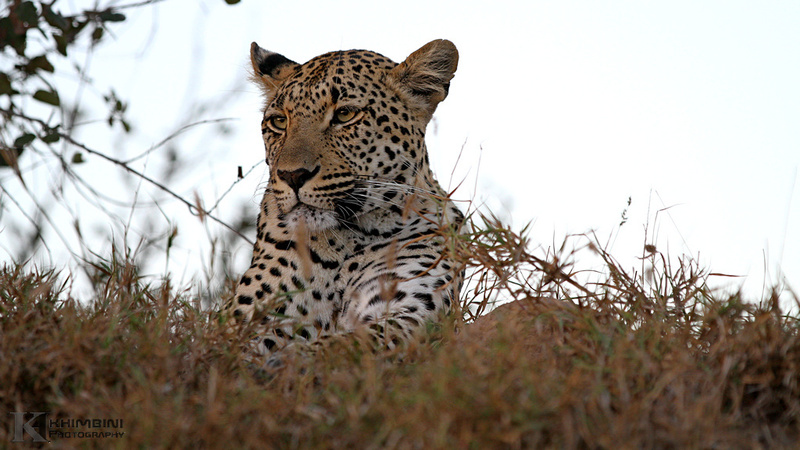 Early one morning we caught up with Khashane hunting, the preferred form of hunting by most large male leopard is to sit on old termite mound and wait for warthog to come out of the mound they spend the night in. The warthogs often just shot out the hole marking it bit difficult for the leopard but on this morning the experienced Khashane male had more success as he was able to bring down a large warthog which kept him well fed for few days. Dayone male has manage to keep Khashane male’s claws away from his face, he is looking great for a male recently involved in a territorial fight. The swollen throat and wound on his shoulder is the only indicator of how serious the battle was. We were privileged to watch him hunting impala on one afternoon, unfortunately for him the monkey on trees nearby saw him and alert everyone around that he was there. The mother leopard has rarely been seen with her young in the last month. Her hunting outings last couple of days now possibly hinting to the little one that it’s time to start trying to catch her own food. We did see the cub trying to hunt a slender mongoose but with no success. 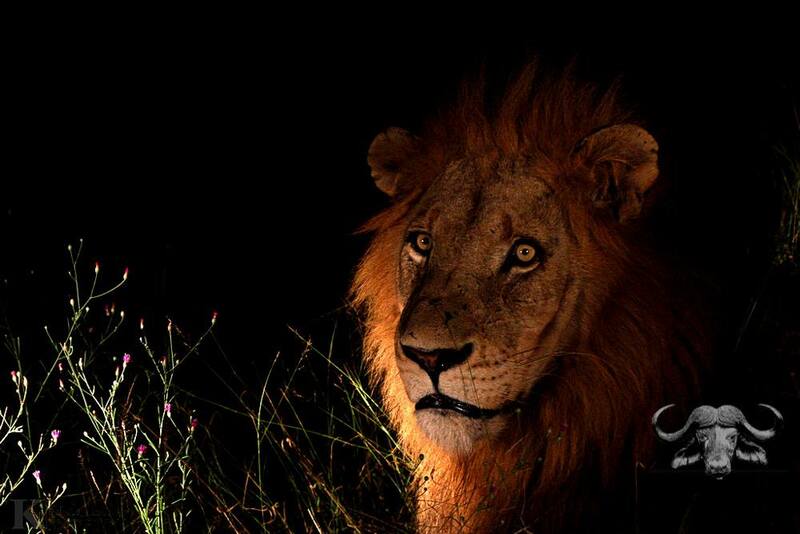 The cub waited for three days for her mother to return and when she finally did the excitement was amazing, she took the cub to an impala killed she made the night before for a feast. 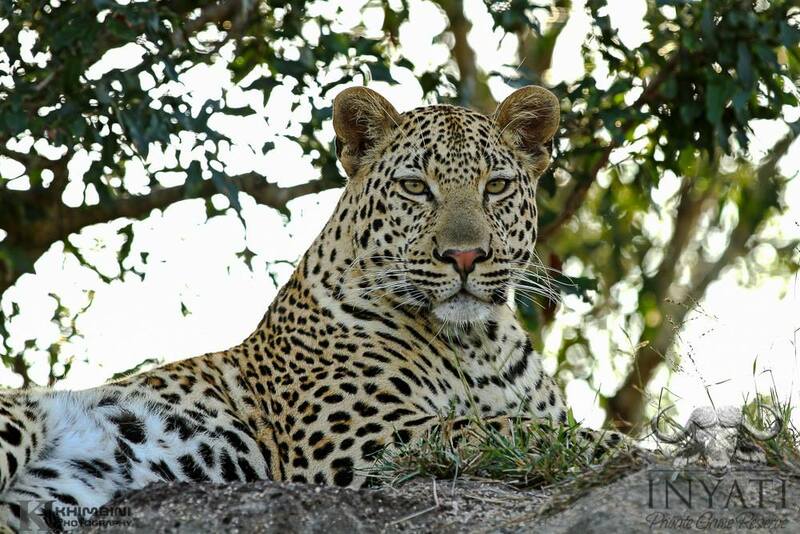 The Tlangisa female has been out and about of late. 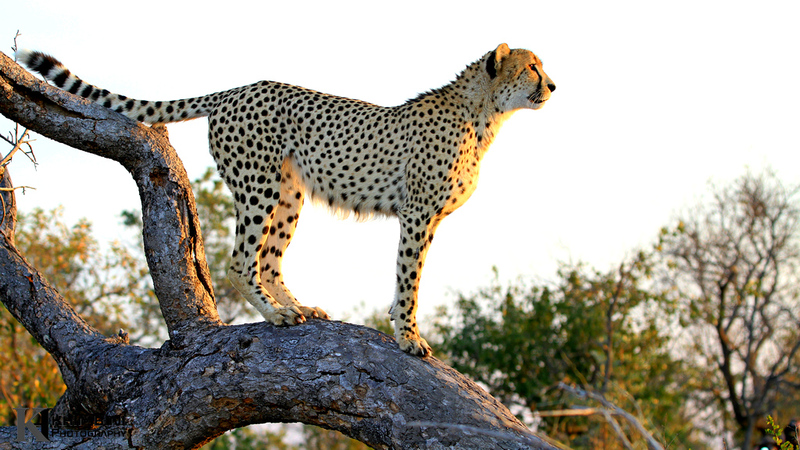 She was being her usual self, posing on a termite mound giving us perfect photographic opportunity. We suspect she maybe pregnant this might be fuelled by hope but we will keep you posted. The young and handsome son of Shangwa female has been seen few times north of Sand River where he seemed to have established a territory. These males have been spending much of their time with the Othawa pride. They did not do much of their own hunting as we know them to rather follow the pride around helping them to eat the kill they have made. 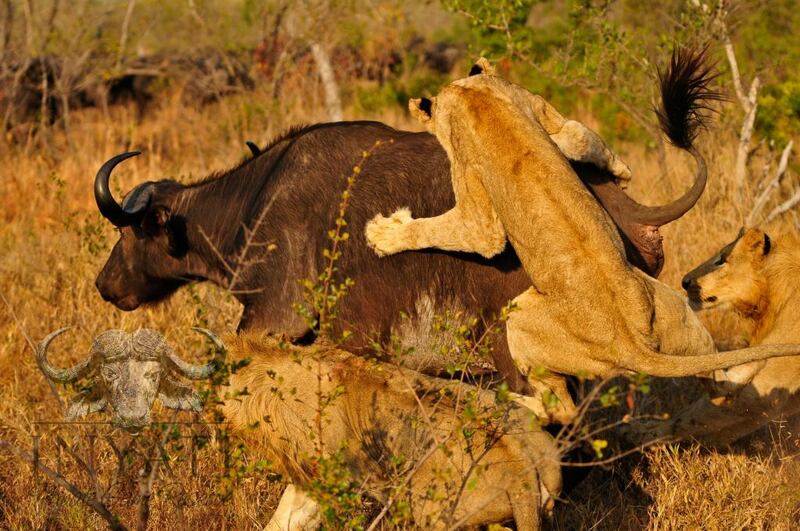 On one evening the lioness killed an impala which the males stole it . While fighting over the kill the lionesses and cubs left. 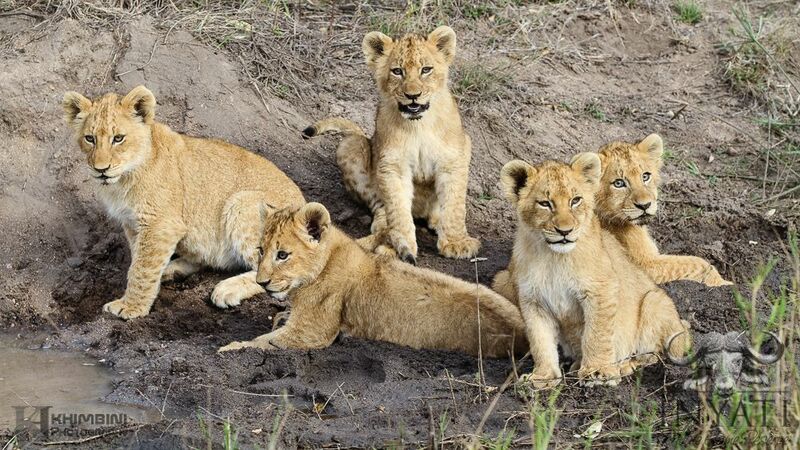 It was good idea, they did manage to lose the males for couple of days but the boys got smart and they found the cubs and waited with them knowing the mothers will return at some point. We were sitting with the pride one morning when the lion decided to leave the cubs in the drainage line to go out hunting. 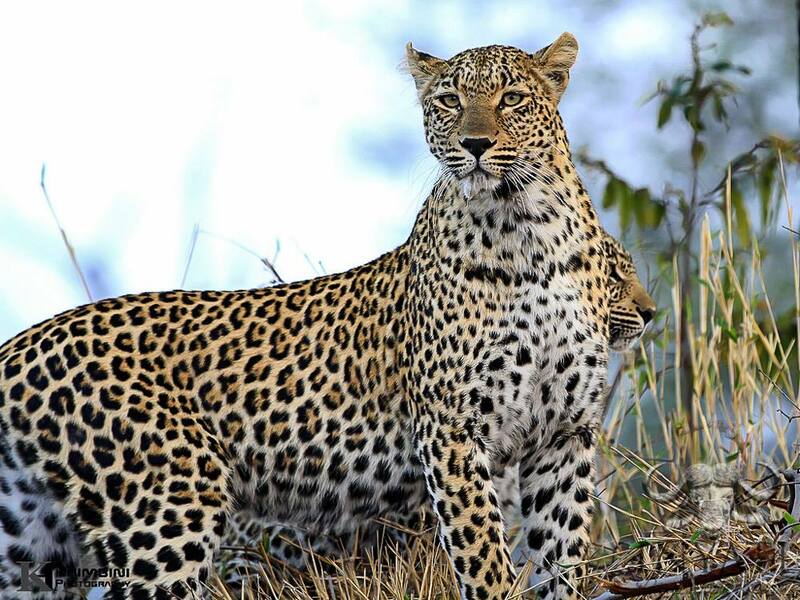 As they were leaving , at distance of about 800 metres, they saw a male leopard, Tai dam who was heading in the direction of the cubs. The lionesses didn’t waste any time chasing him around they ran fast ahead of him back to move their cubs to a safe area. 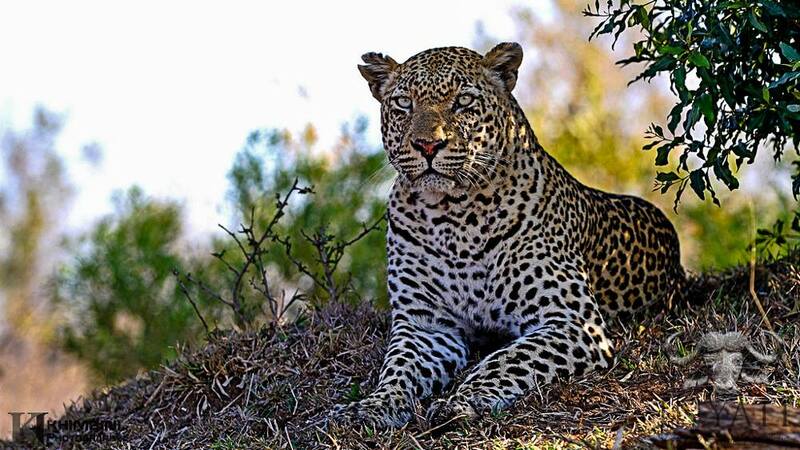 If he was given half a chance that male leopard would have killed those cubs just like the lion or hyena would kill the leopard but to eliminate competition for food. This pride seemed to have split up for while and we have seen only the two young males and young lioness, the rest of the pride is possiblly in the far-east of our boundaries. We witnessed these three sub-adult tried to pull down a buffalo cow. Their optimism was only overshadowed by their lack of experience and the herd of buffalo quickly gathered and chased the lions. 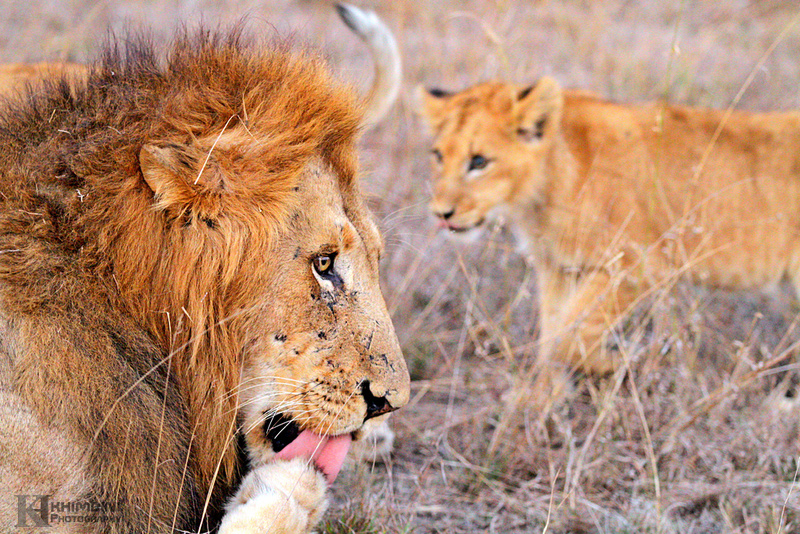 The little pride was still following the herd the next morning, but with slightly more respect. They have a patient and perseverance of a true hunter! They never gave up and three days later we found them feeding on a buffalo close to Newington gate. 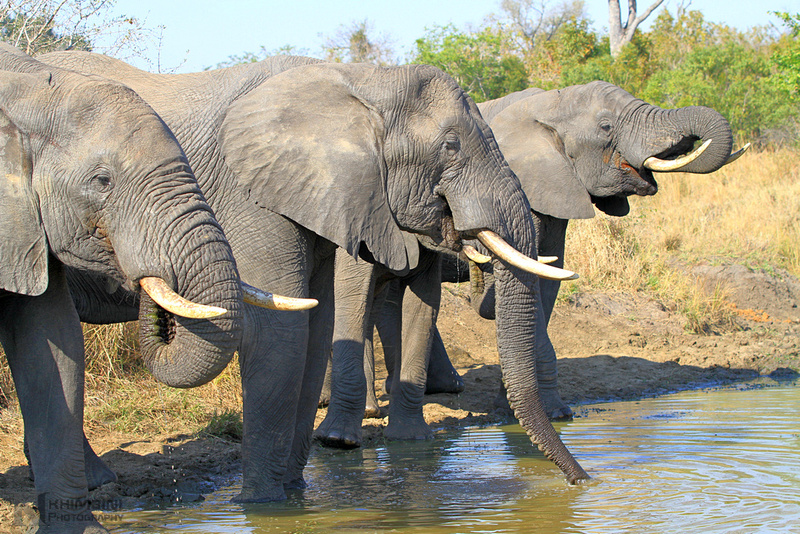 The breeding herds of elephant have arrived on the Sabi Sand Reserve and most days we get see at least two breeding herds, as well as there being always a few big bulls around. 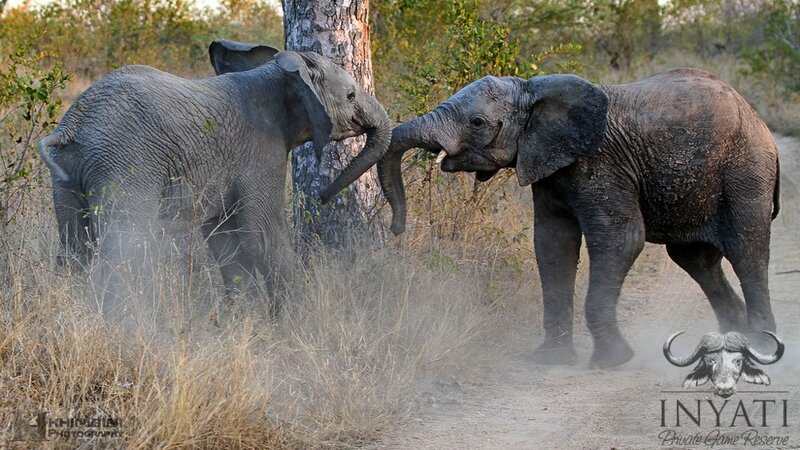 The two young bulls put up a good show for us as they were pushing each other around knock over bushes, testing each other strength …Boys being boys. The large herds have been in and out of our traversing area, covering long distances to find food because it’s very dry and grass and water is scarce. 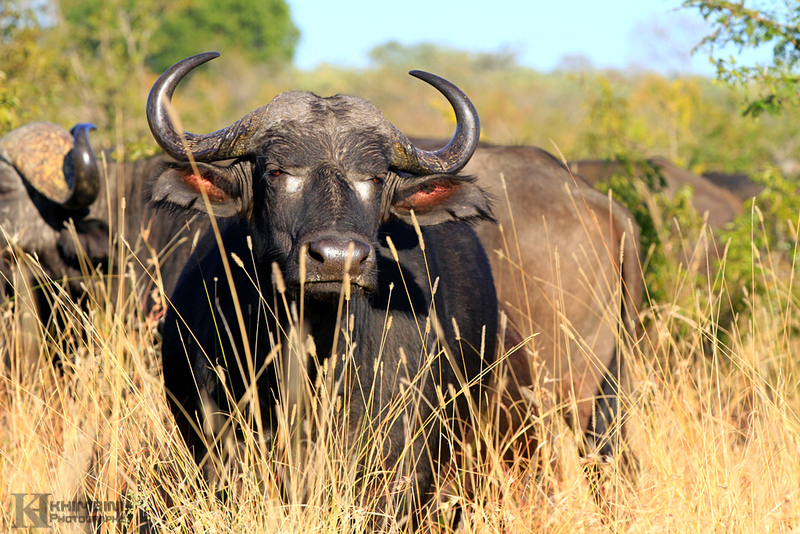 The numerous small herd of just bulls have continue to help us completing the big five list. It’s always exciting to see the return of the rare, slender, elegant, spotted cats in our traversing area. The male provided us with a few great sightings. One morning we followed him hunting, when we left he had not killed anything but later in the afternoon he was full and resting on a termite mound. 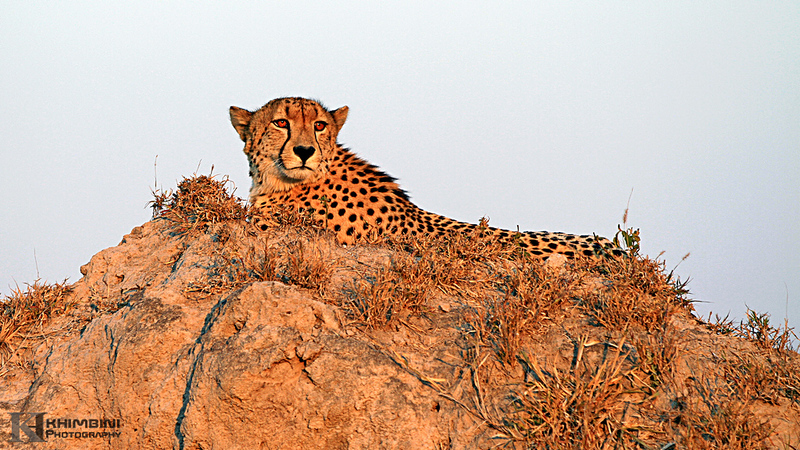 He stayed there for hours scanning the surrounding plains for possible danger. Two heavily pregnant wild dogs, a very unusually site! It is so true what has been said – animals don’t read the same books we do. They have surprised and excited us time and time again with their habits. 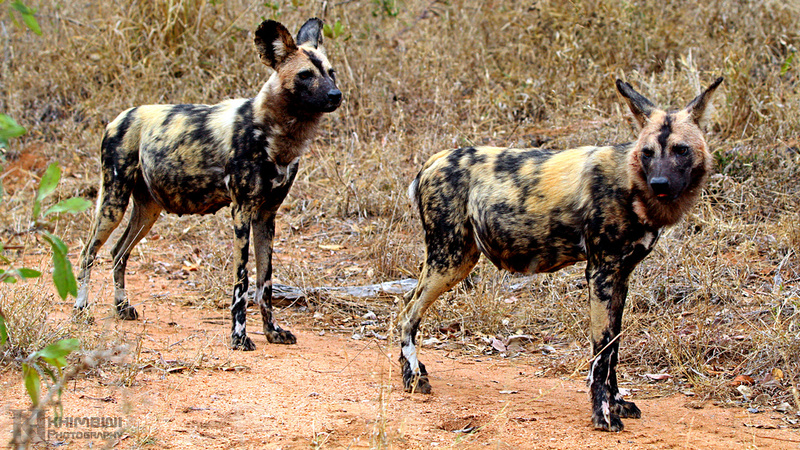 Normally only the alpha pair breeds in a wild dog pack and all others only help in feeding the young. We are all hoping they den on our property it will be interesting to see if both litters will be allow to live as it been witness often the alpha female kill the puppies of the beta female. It is very dry here and Animals are coming more and more to the river to drink, and as a result we’ve got a plethora of animal activity in and around camp, causing much delight and interesting excursions to and from rooms! 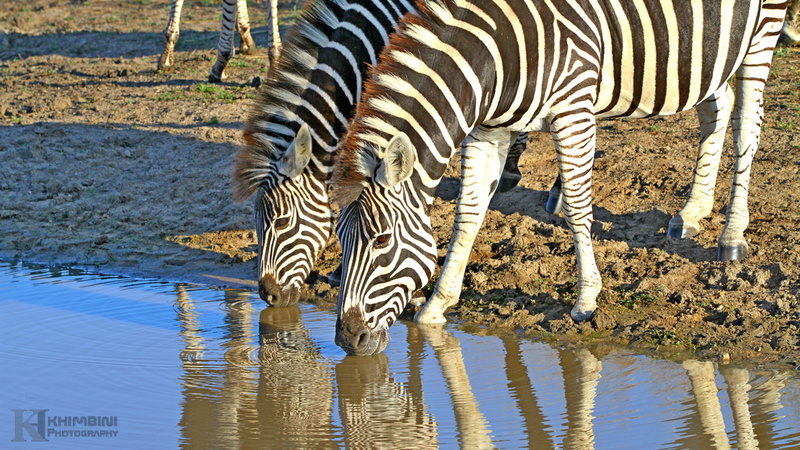 The herds of zebra, impala, giraffe and waterbuck have made the waterhole in front of the lodge at home. That’s all from us this month. We thank you for spending few moments with us in the wilderness, sharing our experiences and joining our adventures. We are committed to keep you updated. Please follow our Facebook page for daily updates.